We provide unique treatment method, integrating psychotherapy, acupuncture, herbal medicine, energetic healing, and many other modalities for holistic health. Our philosophy and how we work is provided in our website. 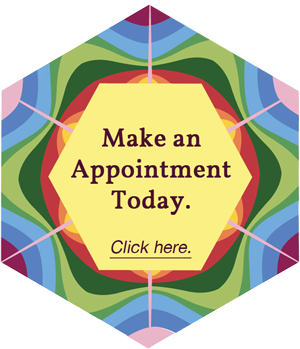 Please read our Acupuncture, Herbal Therapy, Psychotherapy section to help you understand what we do. In the initial session, we determine what type of treatment modalities are best for you. In Holistic Medicine, we believe in treating more than symptoms. We would like to restore your health and balance by addressing the root cause of the problems. It may take a detail examination and an inquiry. This information tells us what your body and mind went through, and how it may have affected current conditions. It tells us about what type of illness you are susceptible to, and what you need to watch out for to prevent any illness or symptoms. With all the information, we are able to give you more individualized and comprehensive treatment for you. We may give you posture correction, stretches and exercises, nutritional recommendations, vitamins and supplements, on top of acupuncture, psychotherapy, and herbs. These recommendation is to help you understand your symptoms, and what you can avoid for prevention, and what you can do to help your conditions. It is for your information so that you can make an informed choice. We believe that knowledge is power. We would like our patients to be informed, and take control of their health. Please arrive 10 minutes before the appointment time, so that you have time to fill out the registration forms. Or you can download the form from our website, and fill out the form ahead of time. Please bring your form on the day of your appointment. Clothing – Generally, comfortable loose clothing is recommended to for acupuncture. We may needle your back, legs, knee area. Loose fitting clothes give us flexibility to accommodate the treatment without having to undress. We will give you a towel or gown if necessary. Please ask us. Food in your stomach – It is not recommended to get acupuncture on an empty stomach. Acupuncture increase your blood circulations and it may lower blood sugar. Occasionally, some patients feel light headed or dizzy during the treatment. You don’t need to be full, but not hungry. No alcohol, recreational drugs – If you are under influence, please inform the practitioner. The chemicals change the way you experience acupuncture. So please let us know!